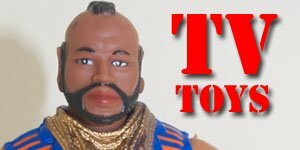 Mention the word ‘Mego’ to any avid action figure fan of a certain age, especially in America, their eyes will probably glaze over and a look of pure joy might spread across their face as they think back to their childhood days. 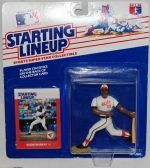 Many first action figures were Megos. In their era they were the only company who really gave Hasbro a run for their money. 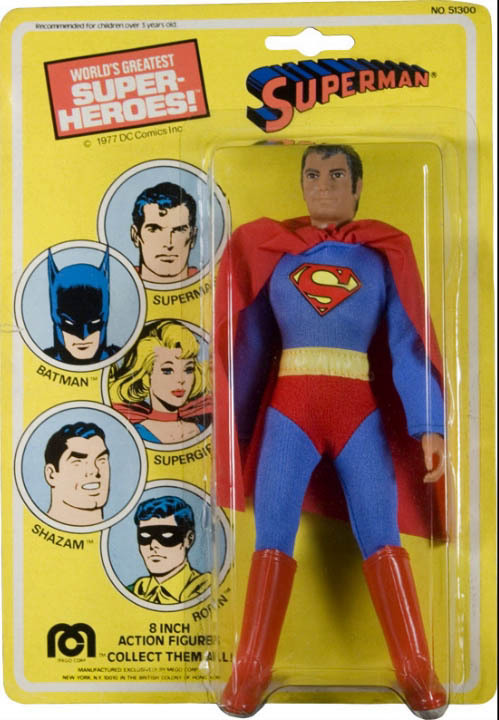 Mego did not get involved in the action figure business until 1971, but with its innovations and designs they quickly won the hearts, acclaim and adoration of collectors and consumers to end up dubbed by many as “The Greatest Action Figure Company”. Martin had a natural understanding of the toy industry and realized early on that it was closely linked with film and TV and was only going to get more so. 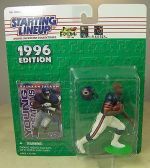 He also realized early on that for a toy line to be successful it wasn’t the consumers he needed to persuade and coax but the toy industry buyers. Without their support and enthusiasm the toys would never have a chance of getting into the hands of the kids they were targeted at. 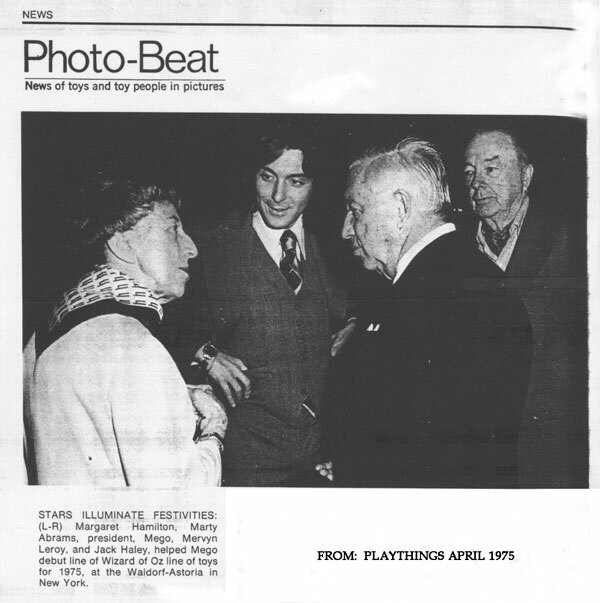 Mego’s answer to this was to lay on some of the most lavish, entertaining and exciting launches in Toy Fair history, many of which are still remembered and talked about to this day. Unlike many of the large toy manufacturers in the US, Mego remained a family business. Martin’s father and company founder David oversaw all of their manufacturing in Hong Kong, his mother oversaw the manufacturing and quality of the costumes, often co-designing them, and finally Martin’s younger brother Howard, helped him with the day to day running of the business. Mego also owes its success to its designs and innovations, many of which were adopted by the industry and are still used to this day. One of their important accomplishments was the introduction of an 8-inch standard, jointed body. 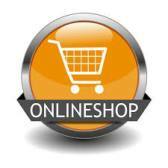 This proved to be a major asset and would save the company thousands in losses over time. As with most toy companies, the biggest risk factor at the time was the failure of a major license as each character had to be designed and moulded separately. During the months it took in development to bring them to market, the public could lose interest and the property could fold. 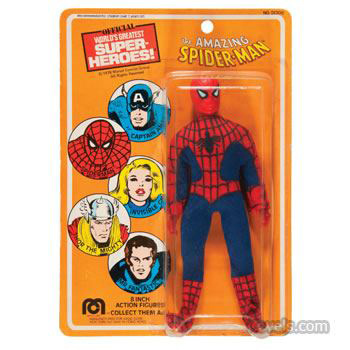 However, with this universal body sculpt this was no longer such a big issue as the figure could be quickly and efficiently converted simply by changing the head sculpt and clothing.Mego fans are all aware that Spider-Man is just a red version of The Thing with a Spidey head and a different pair of footed pyjamas. This concept would be ludicrous to most moulded action figure lines today but technically still applies to Lego mini figures, Art Asylum mini mates, Kubrick and others that share the same clever interchangeability. It was also a hallmark of the Masters of the Universe line. 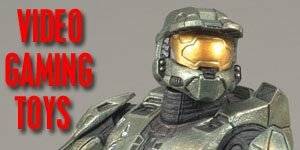 Another obvious advantage was that their scale was more cost effective than the then standard 12-inch figure and was more adaptable to production. This meant that Mego were able to mass produce several lines of figures at the same time at far less cost and risk than their competitors. Another great advantage was that if a particular line failed to sell well at retail the figures could easily be recalled and converted to other lines thus avoiding potentially huge losses as was the case with their Planet of the Apes line. 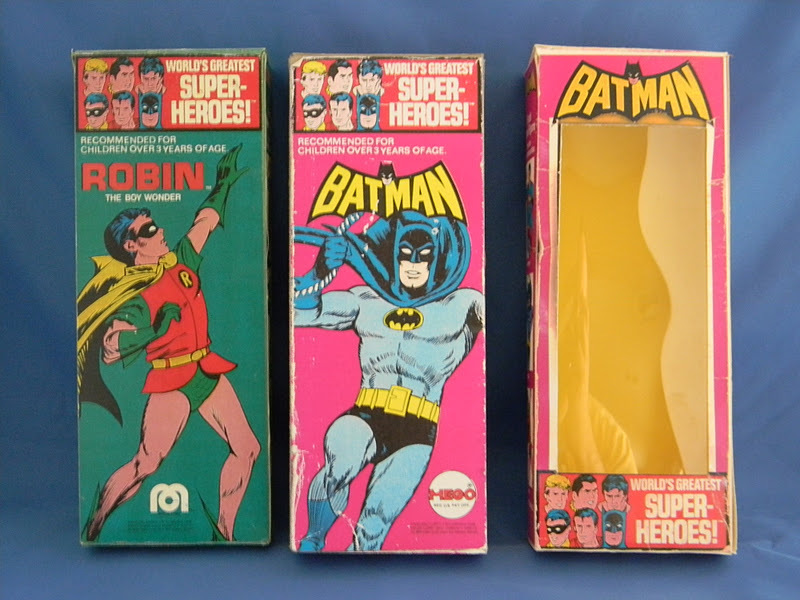 Megos originally came packaged in card boxes but stores found that people were opening these to get a look at the figures inside, so the window box was developed. Then in 1973 Mego landed the Kresge contract, now better known as K-Mart, who demanded that the Mego figures be compatible with their peg display system which led Mego to developing what is now commonly known as the Kresge card or blister pack for displaying their figures. 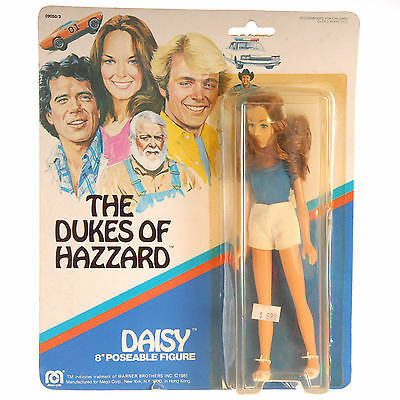 They were also the first major toy manufacturer to extensively use TV advertising, which was a natural fit, with most of their figures being based on many prime time TV programs, such as Happy Days, CHiPS and The Dukes of Hazard. 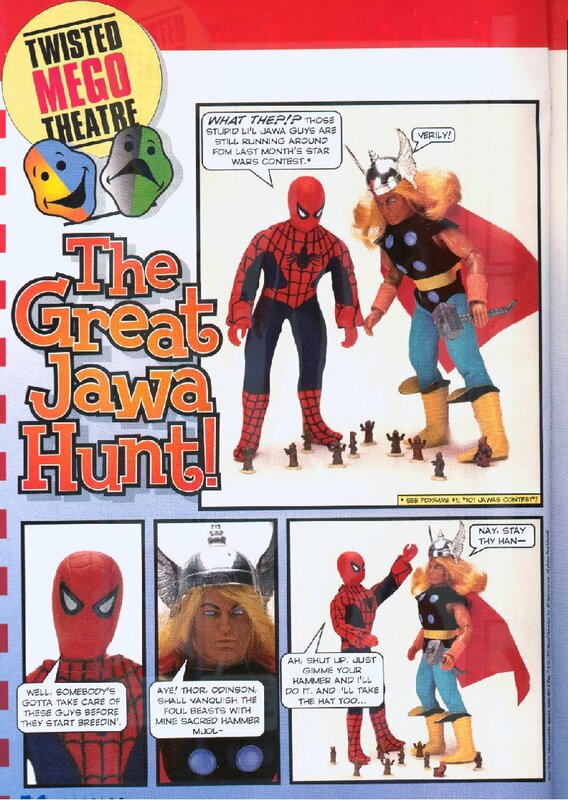 Again Mego didn’t follow the standard format and set a new precedence by producing ads that were highly creative with open story lines for the kids to develop making them more like mini Hollywood productions rather than commercials. Also they had the advantage of being able to use authentic footage, theme music and special effects etc from the original shows. The commercials ran throughout the holidays and during peak children’s’ viewing times, and they soon became popular with kids, who up until this time had never seen or been exposed to this type of advertising campaign, directly targeting them rather than their parents. This is a practice that pretty much every toy line then adopted and seems obvious now as an effective means of getting into the heads of your core customers. As a result these ads themselves have also become highly collectable and are eagerly sought out by enthusiasts and collectors. 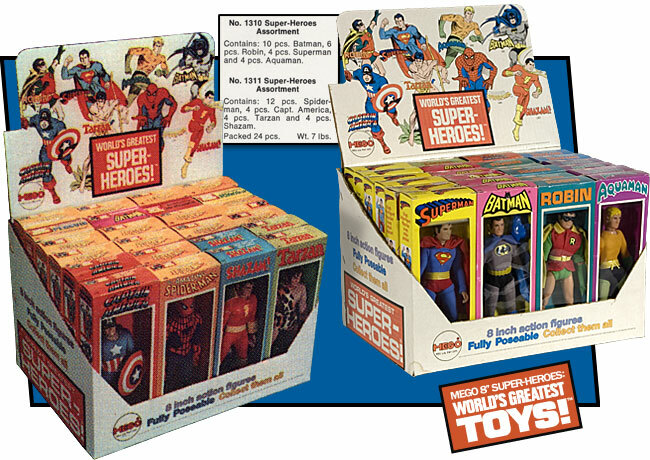 Most companies at the time rarely used catalogues to promote their lines, considering them an unnecessary expense, whereas Mego printed mini-catalogues that were included with most of its playsets to keep the children informed of what was available, and were actually used as a selling point for the playsets. The kids even started using these mini-catalogues to keep track of their collections and what figures they needed. This also meant that parents had an easy reference point to check what figures they could buy their kids for birthdays and Christmas’ etc, thus actually stimulated sales far beyond the actual cost of printing them. Another point of sales material Mego developed was the use of counter displays. 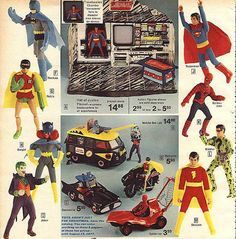 Most of Mego’s retail orders for 8-inch figures came with these, which were free and easy to assemble, featuring full color action drawings of the characters available. This helped the retailer move stock and kept Mego distinct from other lines. Many of these displays were thrown out as junk when they were finished with but have since, like the catalogues become the prized possessions of some collectors, and have become very hard to find in mint condition. The decline of Mego can be directly linked with a decision in 1976 made by Martin Abrams to continue trying to bring the Micronauts line to the west and thus pass on what was considered at the time to be yet another flash in the pan sci-fi B-Movie license. Of course it was Star Wars and of course Kenner got the license instead. There was a period of trying to correct this mistake with buying up other potentially popular sci-fi licenses such as Moonraker, Buck Rogers, The Black Hole and Star Trek: the Motion Picture, themselves surfing a wave of sudden interest in all things space-fantasy. None of these managed anything like the grip that Star Wars had on the hearts and minds of the world. Of course Kenner were bought and closed down by Hasbro in 1991 so even the shrewd optioning of that choice license may not have been enough to save Mego. In 1982 they filed for bankruptcy and within a year became known as Abrams Gentile Entertainment LLC. They have, however remained massively popular amongst collectors and are credited with dominating the action figure market in the 70’s, prior of course to Star Wars. 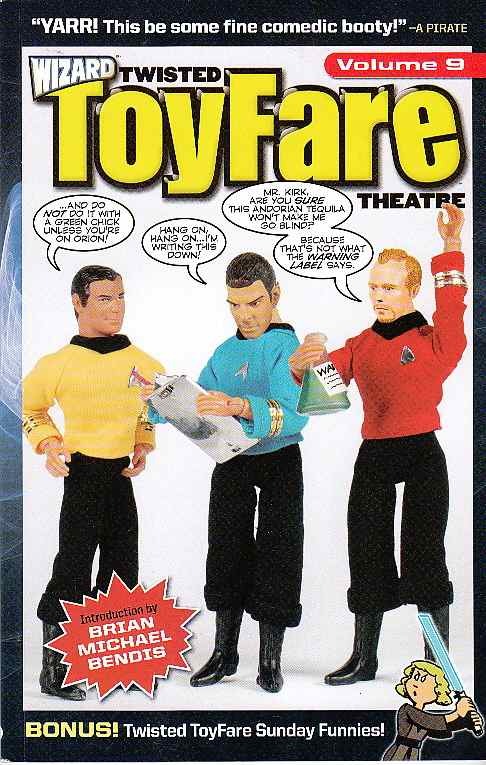 Toyfare magazine, for many years ran a comic strip featuring mostly Mego characters, usually from the Marvel universe but with all kinds of guest stars, named Twisted Toyfare Theatre. Its blend of pop culture, dry humour and surrealism was extremely appealing to a generation of toy fans now enjoying Family Guy. Three of the creators, Douglas Goldstein, Tom Root and Matthew Seinrich went on to create Robot Chicken with Seth Green which features similarly madcap action figure escapades with the ever-poseable Mego characters featuring frequently. You can find collected editions of Twisted Toyfare Theatre and DVD’s of Robot Chicken on Amazon. There have been several Mego reissues over the years including a popular Star Trek line which added characters omitted in the original such as Sulu and Chekov as well as an updated Gorn that wasn’t simply The Lizard from Spider-Man painted brown. Planet of the Apes also resurfaced. 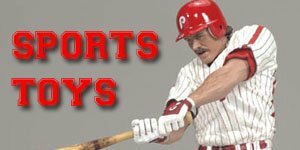 In 2004 the Figures Toy Company started classictvtoys.com and began manufacturing classic mego-like 8 inch action figures and accessories reminiscent of action figures from the 1970's. 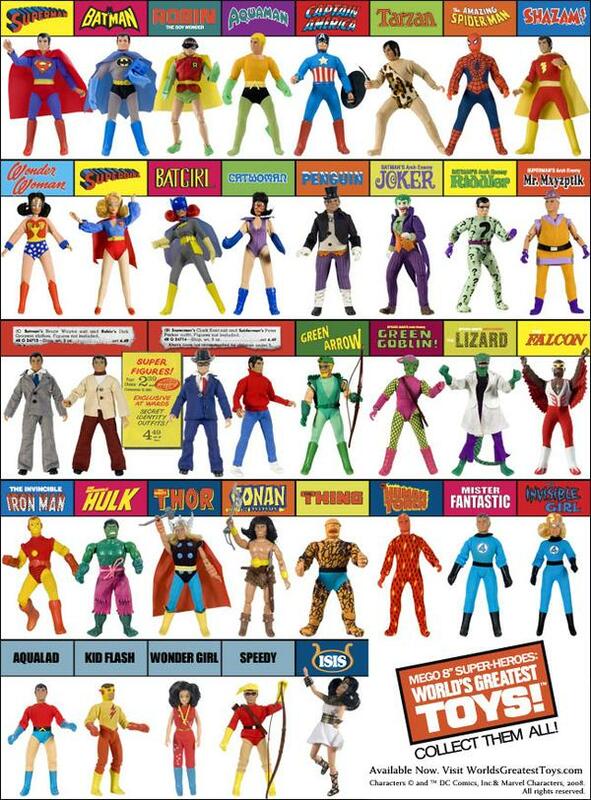 They have now expanded the lines to include such licenses as KISS, Batman, Planet of the Apes, Robin Hood, Aliens and of course they've also re-created the old Mego's Worlds Greatest Heroes Line. 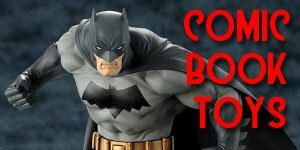 Also in 2010 EMCE and Mattel brought back some of the original line of World’s Greatest Superheroes including Batman, Superman, Green Arrow, Green Lantern and many others as DC Retro Action Superheroes. This was shortly after Martin Abrams reclaimed the right to the brand name Mego. It would appear that we definitely haven’t seen the last of this beloved series and whole new generations of toy collectors are beginning to appreciate their simplistic, tactile appeal.